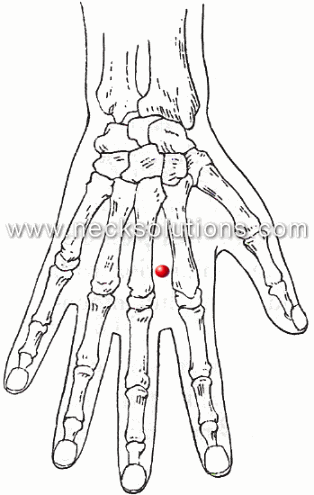 Stimulation of an acupressure point on the back of the hand may provide relief for neck pain. The acupressure point, when stimulated, may release endorphins (chemicals) in the brain which have a pain relief effect similar to morphine. It is also thought that stimulating the acupressure point for neck pain can block pain impulses from the spinal cord to the brain. Research has indicated that acupressure points have a lower resistance to electrical current and stimulating these points may modulate electrical activity. The acupressure point for neck pain relief is easy to locate and treat. In Chinese medicine, acupressure points are places where the flow of Qi(Energy) and blood can be influenced to regulate body function in addition to the relief of pain. Will stimulating the neck pain acupressure point cure your neck problem? Probably not. 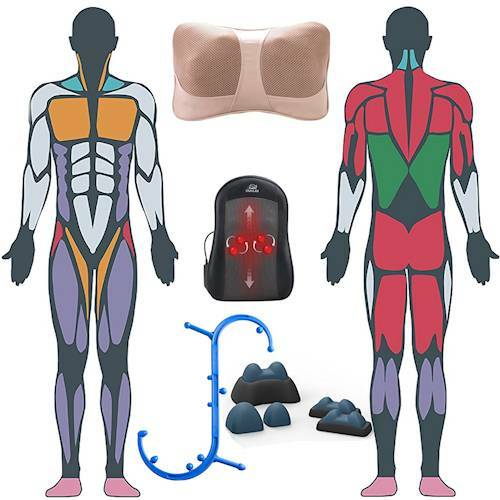 However, stimulating this point can be an important part of first aid treatment and, when combined with muscle therapy massagers and other methods described at necksolutions.com, it can be part of an effective approach to neck pain relief. The stiff neck acupressure point is located on the back of the hand, between the bones in the depression behind the knuckles of the first and middle finger. The acupressure point for neck pain relief can be stimulated with finger pressure which can be as effective as acupuncture. Direct pressure with your finger or thumb is probably the simplest and most effective methods. Press the point lightly and progress to more pressure slowly until you feel a dull ache or distending sensation around or spreading out from the point. Press and hold the point until the neck pain lessens and you feel the muscles relax. Note: If the pain is on the left side of the neck, use the right hand acupressure point. Similarly, if the pain is on the right side of the neck, use the left hand acupressure point.